A new Design study and technology demonstrator from Audi has been revealed at the Shanghai Auto Show. The Audi e-tron Sportback electric car is described as a ‘versatile concept’ and is powered by a 320 kW electric drive, for a 0-62mph time of just 4.5 seconds. 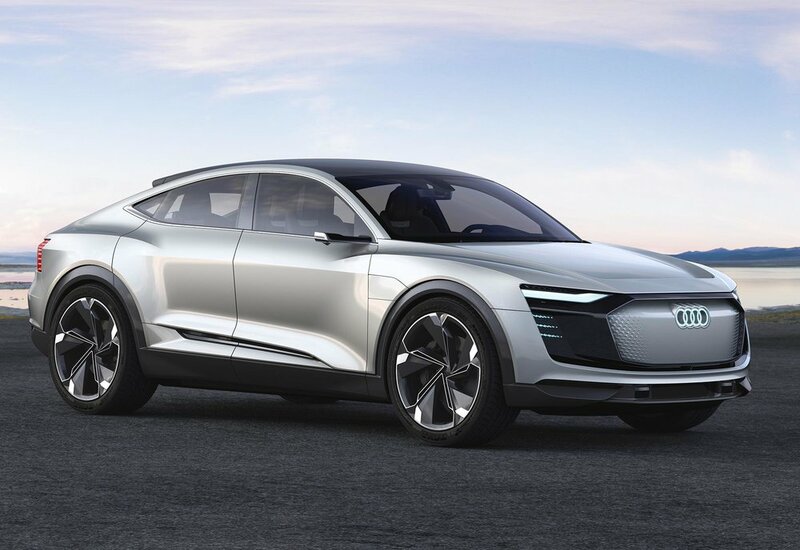 For its drive, the e‑tron Sportback uses a configuration that will also be adopted in future production all-electric Audi models. One electric motor sits on the front axle and two on the rear, which power all four wheels transforming the coupé into a quattro, in typical Audi style. 320 kW of power – which can even reach 370 kW in the boost mode – provides the 4.5 second sprint to 62, while the battery’s energy content of 95 kilowatt-hours, offers a range in excess of 310 miles, says Audi. As previously on the e‑tron quattro concept, the technology study’s liquid-cooled lithium-ion battery is positioned between the axles below the passenger compartment for a low centre of gravity, giving ‘outstanding driving dynamics’. 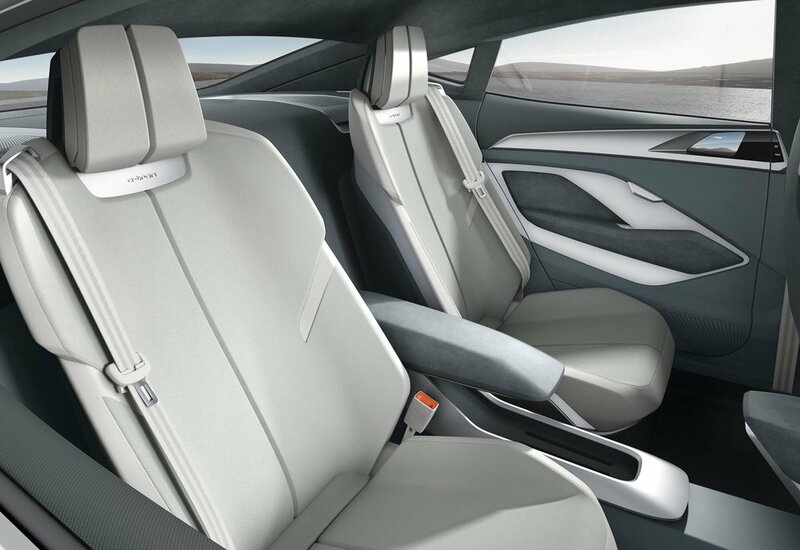 In its consciously light-coloured interior the Audi e‑tron Sportback concept offers a blend of functional clarity and reductive controls. Touch-sensitive screens below the central display, on the centre console and in the door trims supply information and interact with the on-board systems. The concept’s lighting technology is visible by both day and night. Digitally controlled Matrix LED units at the front and rear feature minuscule Digital Matrix projectors literally making their mark on the road ahead. The daytime running lights include a combination of LEDs with a 'micromirror-studded' surface, meaning a large number of animated movements and signatures are possible. When the e‑tron Sportback starts and also when the doors are opened, the system uses switchable segments to generate dynamic visual welcome signals. The study vehicle’s front end features Audi's octagonal Singleframe with an overtly wide, horizontal cut – the greatly reduced amount of air required by the electric motor means the large opening can be omitted here. The surface painted in the body colour has a structured pattern with the four-rings logo – like the grille of the classic Singleframe. The wheel arches extend well out from the cabin with 'pointedly horizontal top edges'. As well as providing visual evidence of a wide track and dynamic potential, they also house large 23-inch wheels in a technical 6-spoke design. Small cameras replace the exterior mirrors. This technology offers other advantages besides improved air flow and reduced wind noise. The blind spot of the physical exterior mirror is virtually eliminated, says Audi, as is the obstruction to the diagonal forward view. The camera images are shown on separate displays in the doors. Audi is showing this technology as a concrete foretaste of the production version. The Audi e‑tron Sportback concept car will be followed by a production version in 2019.